The world is at its peak of technological advancements. We can now buy anything from anywhere from the comforts of our homes. We can talk real time with people halfway around the world. And we can send and transfer money internationally without dealing with the banks. We continuously search for discoveries and improvements. Communication has never been this easy. Almost everything and anyone in the world can now be connected. People from different nations get to interact, trade and invest leading to globalization. Countries are now in constant communication with each other. Relationships are maintained not only on the political level, but also to sustain economic growth. This is done through investing and trading goods, products and even their currencies. The currency of a country can be exchanged or converted to another country’s currency through the transaction we call ‘Foreign Exchange’ also referred to as Forex or FX. Forex is applicable on almost all transactions – from tourists exchanging money to the currency of the country they are visiting, a business sending money to freelancers aboard, to the million-dollar payments made by multinational corporations and financial institutions. The value of a country’s currency is measured based on the demand for their goods and services increasing their competitiveness in the market. This, in return, causes increased value on their currency called appreciation. The decrease in demand for goods, on the other hand, decreases the value of the currency. The currency then undergoes depreciation. Forex’s relativeness to supply and demand makes it a good way of identifying the economic state of a country. Nations experiencing depreciation, for example, are most likely to experience recession leading to businesses closing out or migrating to other countries. Currencies are traded 24 hours a day and seven days a week leading to the constant interaction between international parties. The Forex applied to when you transfer money overseas in the morning might not be the same in the afternoon. The biggest trading centers can be found in London, New York and Tokyo. Values are constantly changing. It can decrease or increase multiple times in a day. What are the basis for these changes? Government Debt – If the investors feel that the government is unable to pay its debt, they will opt to sell their share. This affects the economic competitiveness of the country resulting to a decrease in value of their money. One good example was the debt problem faced by Iceland last 2008. This caused investors to sell their Iceland bonds decreasing the trade value of the country’s currency. Low Inflation Rate – Inflation is defined as an increase in the price of goods and services. Exports with lower inflation are more competitive in the market. This increases demand for the currency of the country as it will be used to buy exported goods leading to appreciation. Foreign imports will be less attractive to the citizens of that country too. For example, if US inflation is relatively low, products made in the US will be in demand increasing the need for US dollars as means to pay for US goods. This leads to a domino effect appreciating the value of US dollars in the market and to transfer money USA to India or to freelancers anywhere in the world would also increase. Interest Rates – Investors are likely to invest in a country with higher interest rates. This guarantees a higher return rate from investments and savings deposited in financial institutions and increases demand for the country’s currency which eventually leads to appreciation. Understand Exchange Rates – Knowledge is power. It is important to be fully aware of your business. International businesses will involve a lot of international money transfers and will depend on foreign currency and its effect on imports and exports by the company. Knowing how currency fluctuations affect your business will help anticipate problems and formulate solutions in advance. Forward Contracts – When buying foreign currency or going to send money internationally, it is ideal to purchase it at today’s rate and settle the payment later. This way, any changes on foreign currency won’t affect the cost of the product or service bought. Virtual Money Transfer – Part of running a global business is sending money to remote workers, freelancers and suppliers internationally. Foreign exchange can increase or decrease the value of the money being sent. A good way to avoid this though, is by making use of Virtual Money Transfer. This way, your money is sent safe and quick using a decentralized system. Coinpip is one company that provides a seamless way to transfer money overseas. Currency fluctuation is unpredictable. Currency value will increase and decrease from time to time. 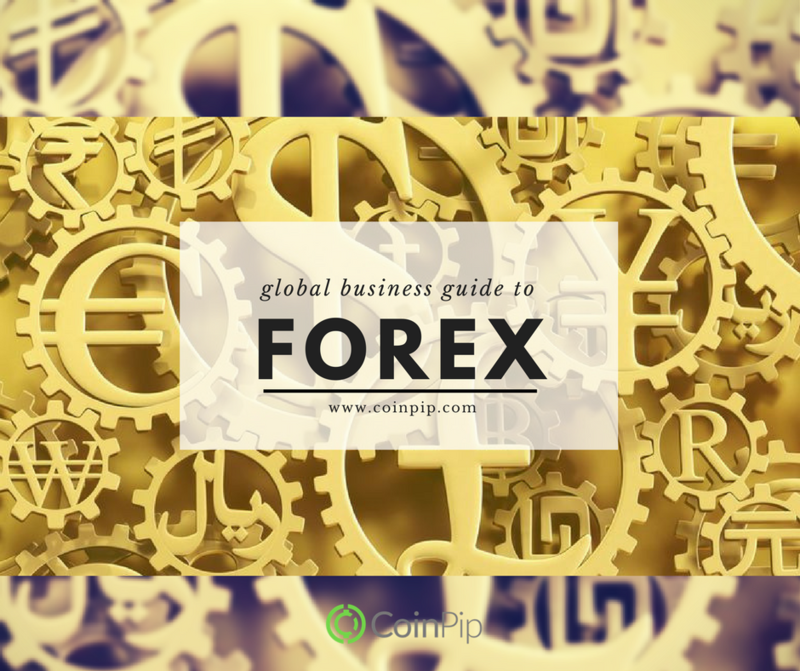 Learning and understanding Forex is key to surviving in the international market. It is an edge to develop a good sense of how it’ll affect factors of a business before trading and investing. Learn more how you can send money with no FX and minimum charges. Sign up for FREE.